« Day 278 in Beijing: Life Is What You Make It. Day 279 in Beijing: Baby, You Can Drive My Car. It isn’t even the full size of Jill’s wing span. So, my friend from high school, Toni Singletary Barta and I were writing to each other on Facebook on her birthday a week ago or so. She told me that she and her husband really like the pictures of the cars that I post so I thought I’d give you a “little” birthday present from Beijing today! Also, this isn’t my car but I totally want to drive it! This is one of the cutest, and smallest cars, I’ve seen yet. There is no back seat and the two front seats are tiny. 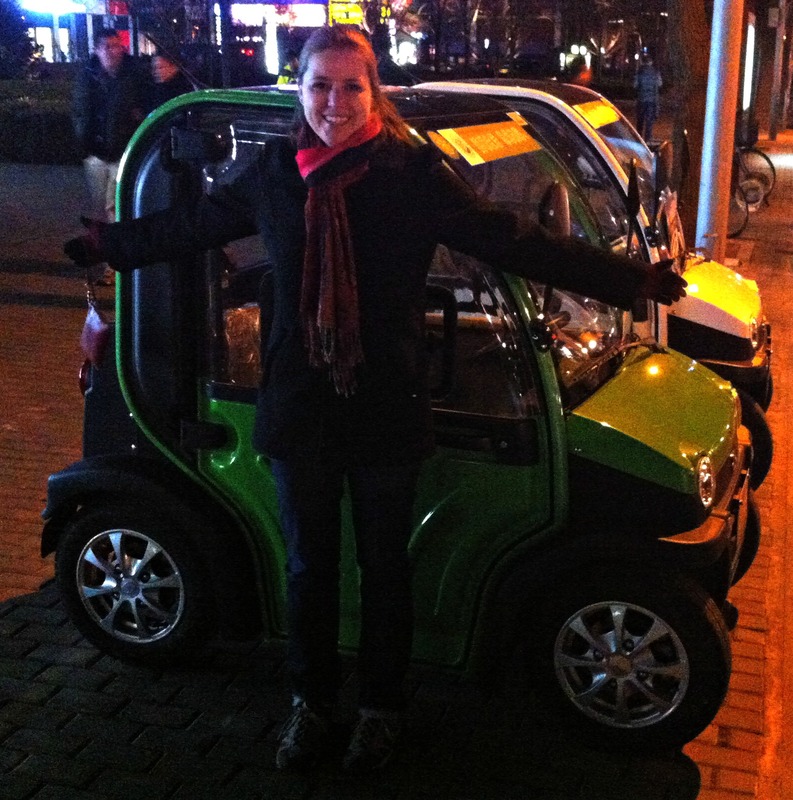 As you can see by Jill standing beside it, it is much smaller than a SMART car or anything we’ve got in the USA. It is also electric and can be driven into water that is as deep as half the car’s height. There is a brochure that explains all the benefits of having this car and I have to admit, if I wanted a car, this would be perfect for cruising around Beijing and getting in and around traffic jams. This would also be a great car for many congested cities in the world and we shall see if it starts getting exported. It is the first time I’ve seen it in China so I’m guessing it is relatively new and I hope it will gain a big market share. I wish I could have talked to a salesperson and asked the price but no one was around. I’ll check next time I stop by this area next time.